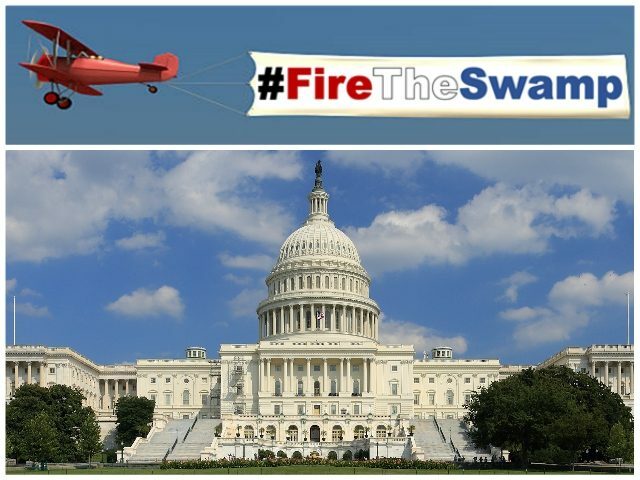 Americans for Limited Government (ALG) will fly a “Fire the Swamp” banner over the Washington, DC, Beltway area Thursday morning to raise awareness for legislation that would streamline the process for firing corrupt federal bureaucrats. 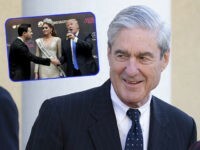 The banner and its corresponding website, FireTheSwamp.com, encourage members of Congress to support The Merit Act, a bill introduced by Rep. Barry Loudermilk (R-GA) which would give all federal agencies the same power the Veterans Administration currently has to expeditiously fire bad employees. “Flying a FireTheSwamp.com banner around the Washington, D.C. beltway is visually raising the flag that limited government principles and individual rights will not be taken away by an out-of-control bureaucracy,” ALG President Rick Manning said in a statement. 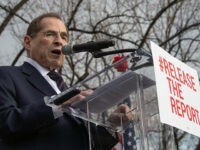 “We call on Congress to enact further steps, including legislation by U.S. Rep. Barry Loudermilk bill that will expedite the firing process, The Merit Act, in alignment with the already enacted firing procedures at the VA,” he added. ALG released the following map of the banner’s flight plan scheduled from 7 a.m. to 10 a.m. Eastern. 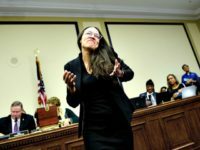 More on the Merit Act legislation and ALG’s efforts can be found at FireTheSwamp.com. Update: The date of the flight has been changed to Thursday, June 28, 2018, due to weather concerns. The banner will follow the same flight plan. This article has been updated to reflect this.